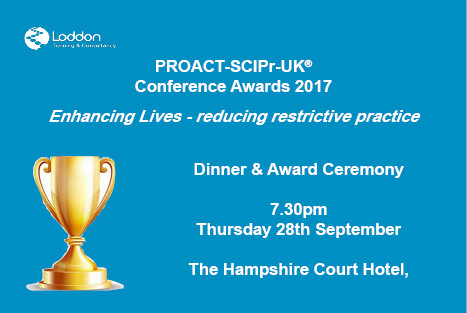 Each year at our annual conference we hold a Dinner & Awards Ceremony where we acknowledge the good work of both individuals and organisations in the implementation of PROACT-SCIPr-UK® by holding a celebratory dinner and award ceremony. This year we will be holding our Ceremony on the evening of Thursday 28th September at The Hampshire Court Hotel, Basingstoke. We would like to invite you to nominate colleagues that you feel have achieved something outstanding in the past year. 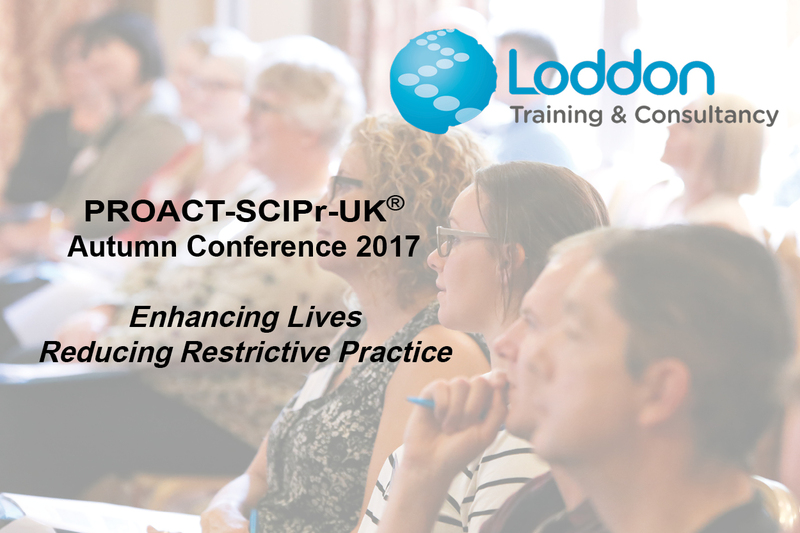 This award acknowledges the important role of a PROACT-SCIPr-UK® Instructor within an organisation. approach and the provision of positive individualised support. 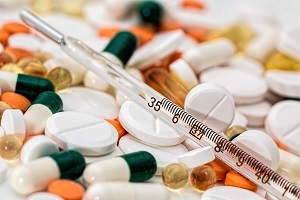 pushing the boundaries to achieve positive outcomes. difference for them and enabling them to live a fulfilling life. All awards will be judged by a multidisciplinary panel. Closing date for nominations is 31st July 2017.